New bill would hamper terrorists' access to specific lawyers. Security forces say some lawyers are terrorists themselves. The Ministerial Committee on Legislation has approved a bill proposed by Minister of Public Security Yitzchak Aharonovich, considerably lengthening the period of time for which a terrorist suspect can be denied access to a specific lawyer. The bill does not affect the suspects' right to be represented by an attorney. It does, however, allow a court to prevent meetings between a suspect and a specific lawyer, if that lawyer is believed to be part of a terror network. The bill would allow a court to prevent a terror suspect from meeting a specific lawyer for a six-month stretch, instead of 21 days only, as is the case today. The maximum period of time in which a terror suspect can be denied access to a specific lawyer will be one year. * A prison manager will be able to prevent a terrorist suspect from meeting with a specific lawyer for a 96-hour stretch, instead of 24 hours at present. 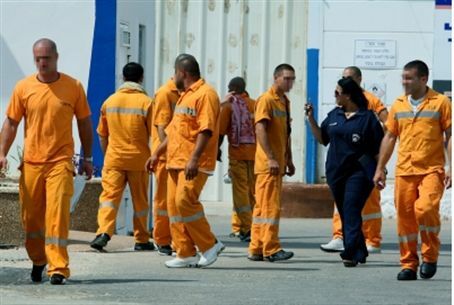 * The Prisons Commissioner will be able – with the assent of the State Attorney or his deputy – to add another 14-day period to this, instead of five days at present. * A district judge will be able to add six months to this period, instead of 21 days at present, as long as the cumulative period in which meeting the lawyer is denied does not exceed one year. The bill also defines new justifications for denying specific lawyers the right to meet suspects. These will include cases in which authorities have reason to believe the meetings will be used for coordination of terror activity, whether it be coordination between terrorist prisoners or coordination between prisoners and external terror-related elements. The current justifications for denying visits by specific lawyers and the maximum periods of time for these bans are not effective enough to deal with the present risks, the bill's explanatory notes say. They similarly do not allow authorities to prevent meetings that serve to coordinate terror activity. Intelligence information points to a high probability that certain lawyers use their meetings with terror suspects to assist in terror activity and to relay messages between terrorists. As of Monday evening, most reports about the bill in Israeli media have misrepresented it. The reports make it seem that the bill denies terror suspects access to legal counsel, when in fact it is only directed against specific lawyers. Israel National News informed the Ministry of Public Security of the problem.